In this series of articles celebrating the upcoming 30th Anniversary of Super Mario, various members of the Nintendo Life extended family will share their memories and thoughts on the iconic franchise. This time we have our super vegan rocker reviewer Jonathan Bee. I remember very clearly going to Toys'R'Us to play the demo kiosk for Super Mario 64. Like any good Nintendo tyke, I had a subscription to Nintendo Power and had been following the development of the "Ultra 64" with bated breath. Thinking about the promising capabilities of the N64 Disk Drive filled me with anticipation for the upcoming era of gaming. And that crazy controller? I had to try it. Standing in line and watching other kids play the demo, I was impressed but I wasn't sold. A 3D environment looked intimidating, and I wasn't sure I'd be able to control it properly. When my turn came up and I took the controller in my hand, everything changed. Super Mario 64 completely blew my mind. I remember my mouth literally hanging open – I had never played anything like it! I pretty much just ran Mario in circles until the next kid in line poked me to see if I was still alive. It was so liberating to have a full range of motion that I couldn't get enough of it. When I finished my session I went straight over to the counter with my pre-order ticket to ensure I had the system on day one. I was 13 years old in 1996, which means it was the first year I had a summer job caddying for a highbrow country club, working for rich people who couldn't be bothered to give a $5 tip to someone who served them for 5 hours on the golf course. I really hated that job, but it gave me expendable income for the first time in my life. And you better believe that went straight to the N64, along with one game: Super Mario 64. Super Mario 64 was the complete package, and everything fit perfectly in place like pieces of an ornate jigsaw puzzle. The music, the gameplay, the characters, the environments – all of it oozes absolute brilliance. I fell in love with the innovative N64 controller, as it allowed a level of control I had dared not imagine existed. The use of the analogue stick to run in circles or around corners, the ability to adjust camera views with the C buttons, the hidden Z button – it was all just so unique and fresh that it's burned a favourable impression on my brain for life. Today people complain about the camera, but at the time I thought it was astounding. Super Mario 64 is my favourite game of all time. Nostalgia undoubtedly plays a role in that selection; the N64 was the first console I bought with my own money, and for that reason it will always have a special place in my heart. Heck, I even recently re-bought a Japanese N64 and started acquiring my favourite old games…and I'm not the collecting type. 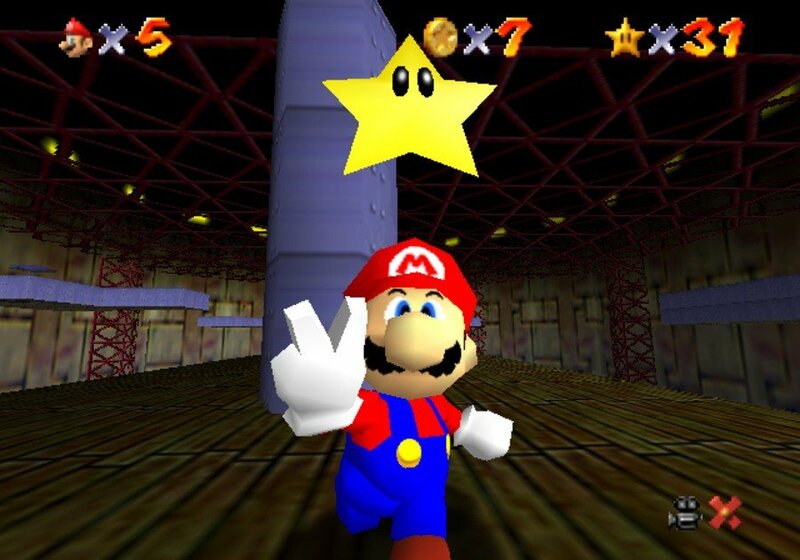 Super Mario 64 continues to stand the test of time as one of the greatest games ever made, and certainly one of the most influential, both in my life and in the industry as a whole. Still the most important game ever for me, changed everything. I was a twelve year old Sega fanboy who hated Mario and Nintendo until I saw Mario 64 playing on a demo pod in Dixons. Queued up for nearly three hours with other teenagers drooling with anticipation. Played it for less than a minute before my parents finally came and dragged me away. It didn't matter, I'd fallen in love. Is it the best game ever? Changes constantly with Mario Galaxy 2 for me but I'd say yes. It's hard to explain to people now but, coming from a world where only 2D games existed, this was absolutely mind blowing. The pioneer of good 3D platforming. Its impact is undeniable, and served as THE waypoint for Nintendo to conquer 3D gaming. Even though I never liked the game personally, it's clear just how much this game influenced and inspired game design, and still does to this very day. I remember the first boss fight with bowser blew my mind with the grabbing of the tail bit and everything. I missed the N64 boat almost entirely bit even still, this game was and is incredible. I just wish they'd make another in the similar style instead of talk about Galaxy. I had to play this game so bad I imported a Japanese system along with Pilot Wings! Never regret that!! A wonderful text! I have the same feelings for Mario 64 and could play it again and again. I remember first playing this at a friends house, and up to that point my gaming experience consisted of Game Boy and SNES. What an amazing experience it was playing Super Mario 64 for the first time(and every other time). We seem to be in the minority, sadly. I did buy Mario 64, but never got to finish it. I was aware that it was a great game, but the problem for me was, that I bought Ocarina of Time together with Mario 64. There just wasn't room for both of them at the time being for me personally. When eventually there was, Majora's Mask came out, so it never stood a chance. I might come back to it one day. Perfected 3D platforming on their first attempt. That's a monumental feat to accomplish. Even though the first console I ever bought with my own money was the NES, I still remember buying the N64 a year after it released. I heard of it and followed it in Nintendo Power, just never wanted it yet. I had the Dreamcast at the time, and after Sega announced that they were stopping production of it, I went out and looked at Sony and Nintendo. Mario Golf made me fall in love with the N64, to where I bought the system (Donkey Kong 64 Bundle), Super Mario 64 and Mario Golf. Later buying Zelda Ocarina Of Time. I loved the graphics, the music and everything about the system, but had a long way to go of getting used to the weird controller, even to this day, having problems. I hated having my hands sweat...making the controller even worse to control. Super Mario 64 was a great game but I loved Mario Golf more...both however made me throw the controller plenty of times. I hated Donkey Kong 64 for a few reasons but found the graphics excellent. My favorite games from the N64 to this day are: Super Mario 64, Pokemon Snap, Conker's Bad Fur Day, Legend Of Zelda Ocarina Of Time, Jet Force Gemini and Nightmare Creatures. A great system and great games! @DarthNocturnal Well, count me in, too. Its variety of themes is absolutely awesome and its moveset is the most complete, to the point that subsequent games (including Super Mario 3D World) used a subset of it with very few additions. Also, having levels and a hub that are open and can be freely explored, some connections that take you directly from a level to a part of the hub and the nonlinearity of the star collecting (so that you can get stars you didn't select in the star select screen) are pretty nice. Yeah, I remember for the first couple of days after getting this home I was literally blown away by it. Well, I wasn't literally blown away, I mean I'm still here, but you get me. Over time, not very many days after first playing it to be honest, I came to realise it's not quite as great as the likes of SMB3, SMW and Yoshi's Island—Like most 3D platformers, there's some issues with controlling the character and camera in 3D, and the graphics haven't held up particularly well over time for the most part—but it's still a classic and its impact and significance in the history of gaming can't be overstated. 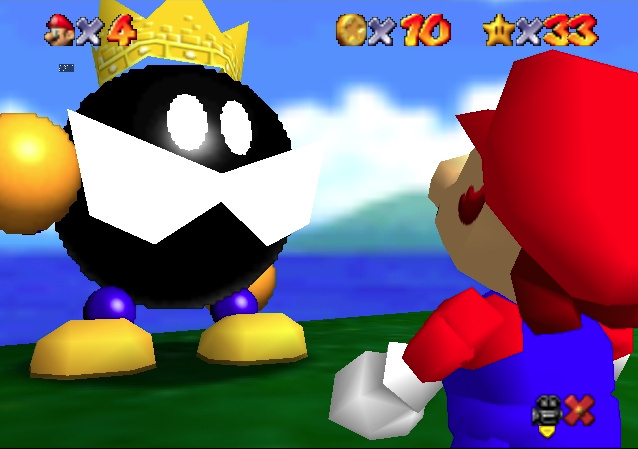 Super Mario 64 was a revolution in gaming. The N64 controller was a revolution in controller design and 3D control. The combination on day one of the system launching was astounding. The N64 was also the only console I've ever stayed up for to make sure I was able to buy it on launch day the second the store opened. And this is where the likes of Wii U failed, imo, because after playing Nintendo Land for the first time (or any of the launch games on Wii U), I doubt very many people were so blown away that it made them immediately want to purchase a Wii U. On systems like the NES (with SMB and Duck Hunt), SNES (with SMW and F-Zero), N64 (with SM64), and even Wii (with Wii Sports), Nintendo absolutely nailed the concept of making the system basically a must-have after playing the pack-in game or one of the launch games. Ironically, Super Mario Maker has probably come closet to being that kind of pack-in title on Wii U, because it shows off the Wii U GamePad better than just about any title, and is also just great fun to boot. It's just a pity it came a couple of years into the lifespan of the console and not as a launch pack-in game. I will always remember 9/9/99. To most people it was the release of the Dreamcast but for me it was the day I finally had enough money to buy N64. I had spent three years turning my room into an N64 shrine with posters, drawings, toys, clothes, etc. The only thing I didn't have was the actual system. Haha. So many great memories of that game. The music was incredible and I got it for christmas (delayed b day gift) i didnt sleep for like three days. I just loved how intuitive the movement was (I had been afraid that I would have issues playing it since I can only see out of one eye); even now I still go back from time to time and play a few levels. I remember the first I ever saw it playing in HMV as a kid on my way back from school. I couldn't quite comprehend what I was seeing and remember thinking it's like the best looking 3D cartoon that I have ever seen and I can control what happens in it! I would wait for up to an hour every evening just to get my hands on it! It was magic. I mean it was pure magic. It was like aliens brought futuristic technology to the world and gave it to me. Unless they very suddenly develop perfect VR a la Star Trek's holodeck, I don't think any game will ever be as mind-blowing to me again. Still the most magical in the series for me... had such a huge impact not only on myself, but the industry as a while. Yes, magical is the right word. In this day and age were remakes and HD remasters are all the rage, I would be more than happy if nintendo gave this one the treatment. That would be amazing! Pretty much how I reacted the first time I went hands on with it at a PNE Playland kiosk months before it released. MIND BLOWING to say the least. the 3 handled analog stick wielding controller alone hit me harder than a DK jungle hammer! I had a similar experience but I was 15 at the time when I bought my Nintendo 64 from Toys R Us. I remember saving up the $249.99 and $49.99 each for Super Mario 64 and Pilotwings 64. I took up a job as a janitor at a local Jr. High School to pay for it, sweeping, mopping, and buffing floors, as well as cleaning locker rooms. It wasn't glamorous work, but it paid minimum wage and for a 15 year old it was a great after school job. I too had a subscription to Nintendo Power that I followed the N64's development and was disappointed when we didn't get the 64DD. The Nintendo 64 remains my favorite console of all time as I have started re-collecting some of the games I had as a kid. I've been excited about newer consoles that have come out since that time, but there was something magical about the N64, it's controller, and the world of Super Mario 64.